UPDATE: The Health Board unanimously approved the indoor vaping ban Tuesday afternoon. No comments were given during the formal public hearing. 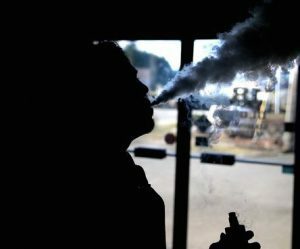 Kitsap Public Health District Health Board will hold a formal public hearing Tuesday on a proposed ordinance that would ban vaping in indoor public places. The board meeting is scheduled for 1:45 p.m. at the Norm Dicks Government center in Bremerton. The ordinance would prohibit vaping in any interior space available to the public in Kitsap County, including workplaces, bars, restaurants, stores, buses and elevators. The ordinance wouldn’t affect vaping in vape stores. The health district had been developing a much broader set of vaping regulations before the Legislature approved an overarching state vaping law. You can read the proposed ordinance here. Below are the April and May restaurant inspection scores distributed by the Kitsap Public Health District. (If May sounds like a repeat, it’s because I mistakenly labeled the March scores as May scores in a June 3 post). The health district keeps tabs on more than 1,000 establishments in Kitsap. Each is usually inspected twice a year. Inspectors make sure food is handled properly from prep to serving. The district works with operators to correct deficiencies. Grades from the inspections are made available to the public. The inspection reports from April and May are posted below. For even more detailed safety information on a restaurant, you can use the health district’s handy database search.